A man robbed a bank in the Loop Monday afternoon and the suspect was caught after police tracked him on a CTA bus. 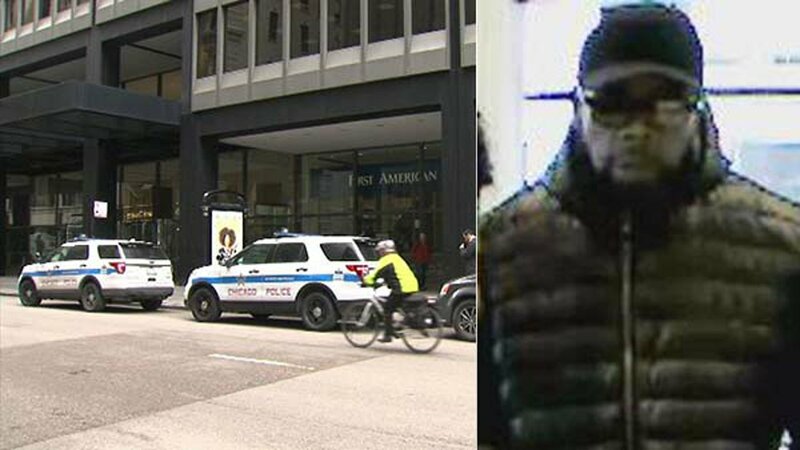 CHICAGO (WLS) -- A man robbed a bank in the Loop Monday afternoon and the suspect was caught after police tracked him on a CTA bus. The man was arrested after he jumped on a Red Line train after allegedly robbing the First American Bank branch at 33 West Monroe, investigators said. The suspect, a black man in his 40s wearing a puffy coat, was arrested about 3:10 p.m. on the South Side, FBI spokesman Garrett Croon said. According to police, he got off the train on the South Side and headed for Halsted, where he got on a CTA bus. Police arrested him near 64th and Halsted.